Apple is set to discontinue the iPhone X this year, according to KGI Securities analyst Ming-Chi Kuo. But don’t worry, for as bad as that sounds, things are thankfully not quite as dire as they may first seem. According to Kuo, Apple will indeed discontinue the iPhone X later this year, but not before its replacement is made available. While Apple would normally reduce the price of existing iPhone hardware and keep it around for a number of years, that is not likely to be the case, according to Kuo, with the iPhone X that we have today being a one-year only affair. The reasons come down to Apple’s rejigging of its iPhone lineup once more, with 2018 seeing the arrival of new screen sizes that would potentially be left vulnerable by a less costly iPhone X. 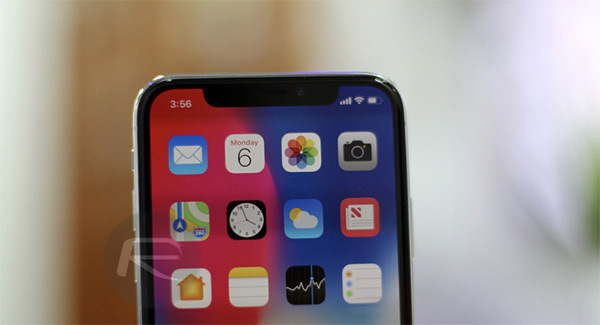 If, as you may expect, Apple reduced the iPhone X to the $899 price point later this year, Kuo believes that there would be the possibility of such an offering being in a position of cannibalizing sales of the new mid-range 6.1-inch iPhone with Face ID that is expected to launch around the same time as the iPhone X’s successor. That phone is believed to have a price point of between $650 and $750, leaving it worryingly close to a potential $899 iPhone X. Kuo does not expect Apple to make that mistake. iPhone X would hurt product brand value & lineup of 2H18 new models if it continues to sell at a lower price after 2H18 new models launch:Lowering iPhone X’s price after the 2H18 new models launch would be a negative to product brand value given 3D sensing and OLED display are features of the new high-price model. Additionally, to sell iPhone X at a lower price may have a negative impact on shipments of the new 6.1″ LCD iPhone in 2H18. Thus, we estimate iPhone X will reach end-of-life (EOL) around the middle of 2018. 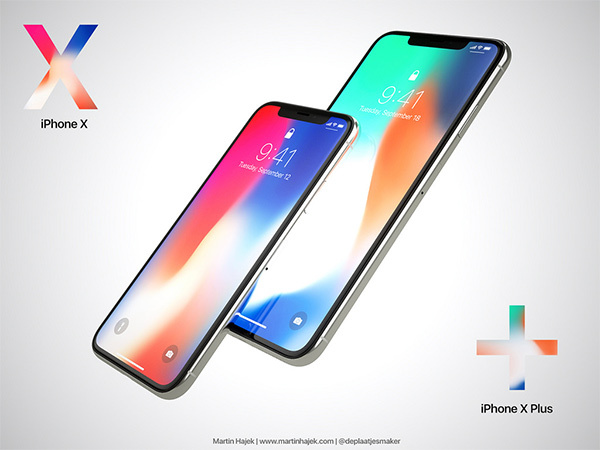 If things do pan out as Kuo believes, we could see the 2018 lineup consist of a new 5.9-inch iPhone X at the high end, a large 6.5-inch iPhone X Plus sitting just above it and then a mid-range 6.1-inch iPhone below it. The rest of the lineup would presumably include re-priced iPhone 8 and iPhone 7 models with the iPhone SE at the very bottom of the food chain. Discontinued and they won’t lower the price. Totally Apple. Production reduced from 50 mill to 26 mill. Add to that the 45% of iphone 6 and 7 who are now getting battery replacement and Apple now signing ios downgrades also. Costs $345 to make a phone, yet in Australia they charge $1899 for the X. And they wonder why. I guess this is a blogger fan boy way of saying it’s being discontinued due to lack luster sales (in iPhone standards) because of a high price that gets you a change in UI that a lot of people don’t like along with the annoying display notch that a lot of people don’t like. $1829 (256gb) plus $299 for obligatory AppleCare plus case comes to AUD$2187. Apple screwed up expecting people to buy a phone whose biggest “wow” factor is turning your face into animated poop emoji. I guess not enough teenagers have $1000 lying around to snap these up. Who woulda thought? What did Tim say, just the price of an expensive cup of coffee a day? When they drill it down to that you know they are gasping at straws. The x sold more than any Android device in the last quarter. You have choices on Android… With that said, read my comment again. You have a choice on iOS : SE, 6s, 7, 8, X. 2. iPhone X shipments may have outnumbered the fastest moving single-branded android phone, such as the “Samsung Galaxy S8”. However, as a platform, the number of total android phones shipped & sold consistently outnumber iPhone every quarter. This has been the case for some time now. Yes, the total number of 32,000 different phone devices running android shipped & sold consistently outnumber iPhone. Yet, Apple takes 85% of world’s phones revenue while all the other OEMs battle for crumbs/on a verge of bankruptcy. Who said anything about revenue? I was responding to your original comment which implied consumers buy more iPhones than any other platform, which is simply not true. But since you mentioned “bankruptcy”, you might want to check recent financial reports of Samsung & LG. Last time I looked, both were doing pretty well. Of course no single android OEM will rake in as much profit as Apple because all of the android OEMs split the android pie. Apple doesn’t split profits with other companies because Apple is the only manufacturer of iOS devices. They shipped 29 million iPhone X’s in a couple months. So you’re either incredibly stupid or nothing but a pathetic Apple hater. For something that was released AFTER their normal release cycle and for a product that was priced very high as an exclusive that’s pretty damn good. Shipped is the same as sold in this case seeing as how everyone SOLD OUT. DERP! This right here folks! This nucklehead has never even used an iPhone X. 29 million in a couple months and more than anyone else so….if that’s not amazing then what the hell is? Your lack of understanding between “shipped” vs “sold” is apparent. Shipped is the number of iPhones sent to retailers (including Apple’s own stores). Sold is the number that are actually purchased by the end consumer. The number actually sold is the more significant metric in regards to the popularity of the product. Apple is the only manufacturer of iPhone, but Apple is not the only vendor. Apple ships iPhones to carriers, who in turn sell those iPhones to their customers. Yes, there is a correlation between the number shipped and the number sold, but it is not a direct correlation. There is always surplus inventory in carrier and third party vendors that doesn’t move at the same rate as the amount of product being shipped from the manufacturer. This is true for anything, not just iPhones. My local Apple store has plenty of iPhone X in stock, and local carrier stores have plenty of iPhone X to sell to anyone who wants one. I guess stores in your area must be at the bottom of the priority list if they can’t get more iPhone X inventory. Your lack of understanding for SOLD OUT is apparent. When stock is sold out then shipped literally equals the sold amount. 29 million iPhones shipped AND SOLD in the first couple months. What they have in stock today is irrelivent. It’s ok, some day you’ll learn. And before you continue to act like an idiot, I work in logistics. When you’re looking at millions of units, the thousands in transit don’t matter. Quit being petty for the sake of being an Apple hating douche. I am neither incredibly stupid nor a pathetic Apple hater. I understand the difference between shipped vs sold, but you apparently do not. I tried to explain it to you in my previous comment. If it is still too hard for you to comprehend, then Google it. I am not a rabid fanboy of any specific platform. Other than iPhone 7/8, I have owned every version of iPhone since the 3GS. I have also owned 8 android phones, so I have fairly equal experience with both platforms. Both have their pros and cons. That statement shows you have no clue what you are talking about. You fail to grasp the simple concepts of product shipped, inventory and end-user sales, and how they relate to each other. Whoever hired you to do “logistics” is even more clueless than yourself. Whatever gets you to sleep at night. Your idiotic comment about Apple “screwing up” has been blown out of the water with 29 million units shipped AND sold within a couple months of its initial release. If you want to believe that you explained otherwise then you just keep on thinking that little buddy. Today’s stock is in fact irrelevant unless you are trying to prove that Apple screwed up because they still aren’t sold out? Right back to incredibly stupid and pathetic. Quit your damn crying about a phone you can’t afford.